How many toys does your dog have? I bet it’s quite a lot… am I right? It’s tempting to shower your dog with lots of different toys. After all, you love them dearly, and what better way to show them that than by treating them to an exciting new toy every time you visit the pet shop? However, no matter how well-intentioned your purchases are, this extravagance may cause your dog to start exhibiting unwanted behaviours and make training more difficult. 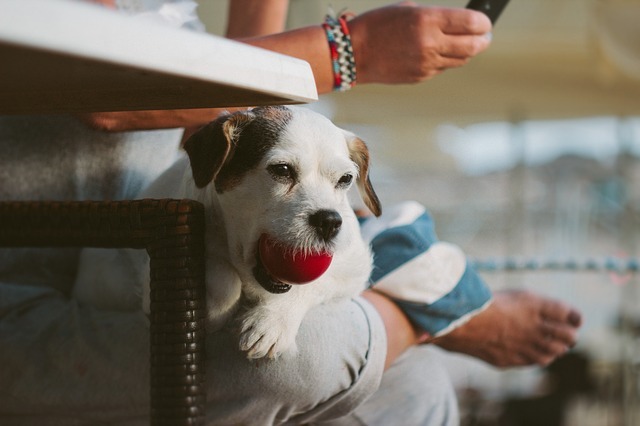 A dog that is presented with multiple toys of all different shapes and sizes can find it difficult to distinguish what he is allowed to play with, and what he isn’t allowed. If your living room is a collection of soft toys that your dog can access at will, he may not understand why you get angry at him for playing with a slipper, magazine or your child’s favourite soft toy. They all look the same to him! Limiting your dog’s play toys to two or three lets them learn which items are ‘theirs’ and which should be left alone. For a dog that likes to chew or rip toys apart, you should try to teach toy association as soon as possible to avoid unwanted destruction of your own belongings. 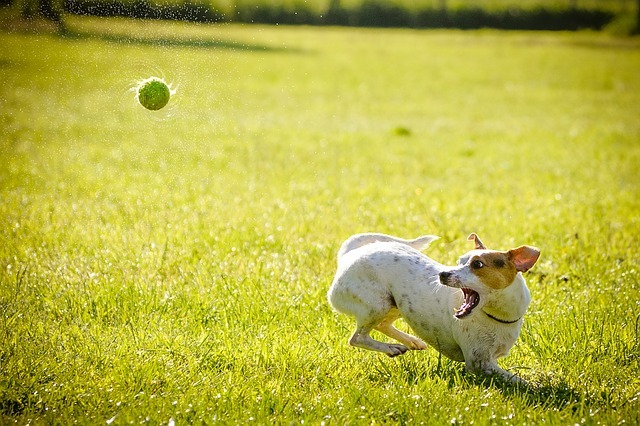 If your dog has a particular toy that gets him very over-excited, it’s a good idea to keep it out of sight and only bring it out when you are going to engage in a playtime session. This stops your dog from engaging with it whenever he wants, which can lead to unwanted behaviours such as excessive barking or out-of-control leaping around that he begins to associate with that toy. Keeping the favourite toy as a special treat helps him learn that you are in charge, as you’re the one that brings him the toy and takes it away again. It also gives you a wonderful way to bond with your dog as he will be appreciative of you giving him that toy. It becomes a special occasion rather than an everyday occurrence which he may lose interest in over time. It’s important to differentiate the toys you use for playtime and the toys you use during training. Your dog must learn which toys to associate with fun and casual play, and which to associate with learning and concentration. Choose a specific toy that you only use for training purposes. 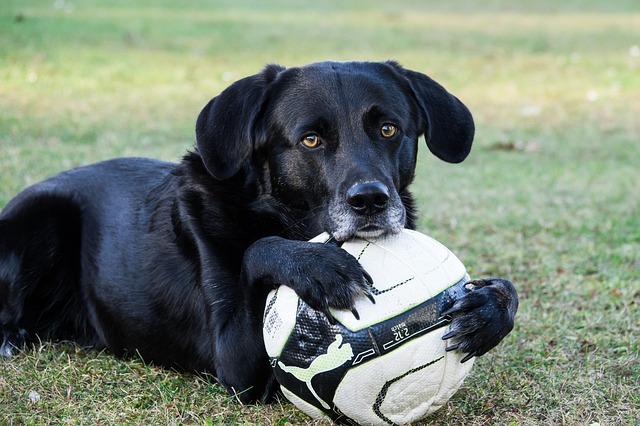 Balls make great training aids, or you could try a small toy that squeaks or has some other noise-generating ability that you can use to get your dog’s attention. We recommend against using rope toys because thin ropes can become dangerous should your dog ingest them. When swallowed, rope material can create a spring effect and obstruct the stomach. During training, ensure all ‘play’ toys are placed out of sight to avoid distraction. Once your training session is complete, remove the training toy and place it somewhere safe where your dog cannot access it. This lets him know that training time is over. If you were to leave the training toys available for the dog to play with whenever he wanted to, the toy would lose its authority in the dog’s mind and it would no longer be an effective training tool. If you are working on different types of training, for example off-lead recall and behaviour around other dogs whilst on a walk, choose different toys for each type of training. This helps the dog to associate specific toys with the individual behaviours you’re teaching them, which can speed up the learning process. Have you set toy boundaries with your dog? Which type of toys do you use for playtime, and which do you keep in reserve for training purposes? Let us know in the comments below.